The PatchWork Collective’s grand opening event last Wednesday was a roaring success. Now that Ferndale’s newest coworking space is open to the public, how will you use the facility to find your space? For me, as a founder, the Grand Opening was more than just cutting a ribbon or throwing a party. 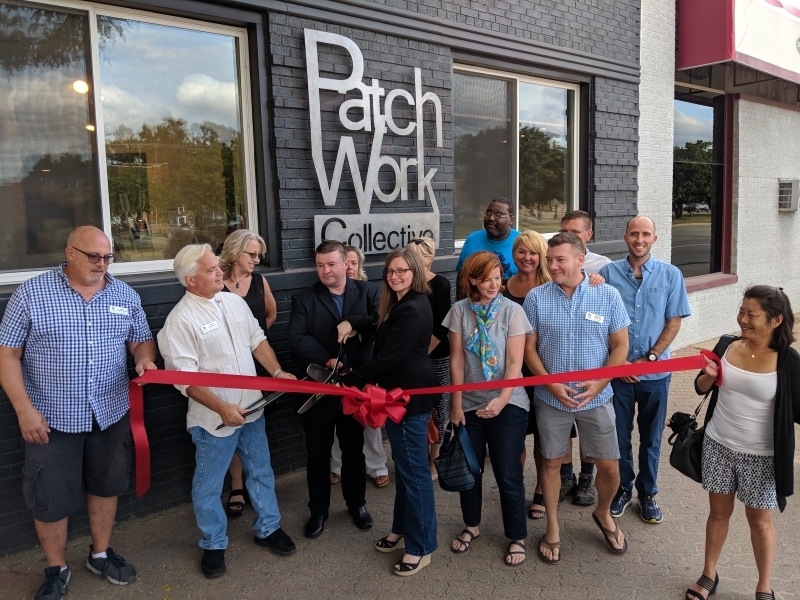 As I watched dozens of my friends and neighbors mingle in the space, it showed me what PatchWork Collective could be: a space for community, where business owners, neighbors, and friends can come together to connect and collaborate. A place where networking is more than just a business-card scavenger hunt. A place where real working connections are made. The deep local connection and eclectic nature of Ferndale business has only been reaffirmed in the days since. I have had contacts from people hoping to use the space for everything from podcasts to meditation sessions. It is exactly what the PatchWork Collective is supposed to be: a coworking space with the heart of Ferndale. And it makes me excited to see it. If those times don’t work, you can also contact us to schedule a tour during normal business hours. Seen the Space? Book the Space. Now that you have seen PatchWork Collective’s beautiful facility, maybe you are brainstorming on how one of our offices could take your business to a new level. Maybe you are eager to buy a pack of day passes or schedule a meeting. Our online scheduler is coming soon! But you don’t have to wait. You can visit our Find Space pages to see all the spaces available and their cost. Don’t forget, almost every space can be customized to meet your needs. (But please don’t make me move that conference table in the ThinkTank, it’s heavy!) Contact us today to reserve a space, or drop in to work with us.